The result of his Japanese heritage and strong Sichuan influences is is a cross-cultural explosion and Chef Kentaro utilises the best of both worlds, for example by making use of fluffy Hokkaido rice paired with the Chen’s Mapodofu (麻婆豆腐 – Stir-fried tofu in hot Szechwan pepper-flavoured meat sauce), which is silky smooth and one of the highlights on the Chef’s menu. For those who aren’t familiar with Szechwan / Szechuan cuisine, it is grounded in flavours that utilize plenty of chilli oil to achieve a certain spiciness known as ‘la’, and Szechwan peppercorns which result in a tingling sensation called “ma” – which also means to numb the senses. A combination of both, is best experienced by sampling the dish Stewed Fish Fillet in Super-hot Szechuan Pepper Sauce (水鲸鱼), as the fresh fish fillet adds both dimension and flavour to the simmering hot dish served out of a clay pot. Another memorable dish is the Szechwan Hot and Sour Soup (酸辣汤) which is served with shredded chicken that is slightly spicy and thoroughly refreshes the tastebuds. 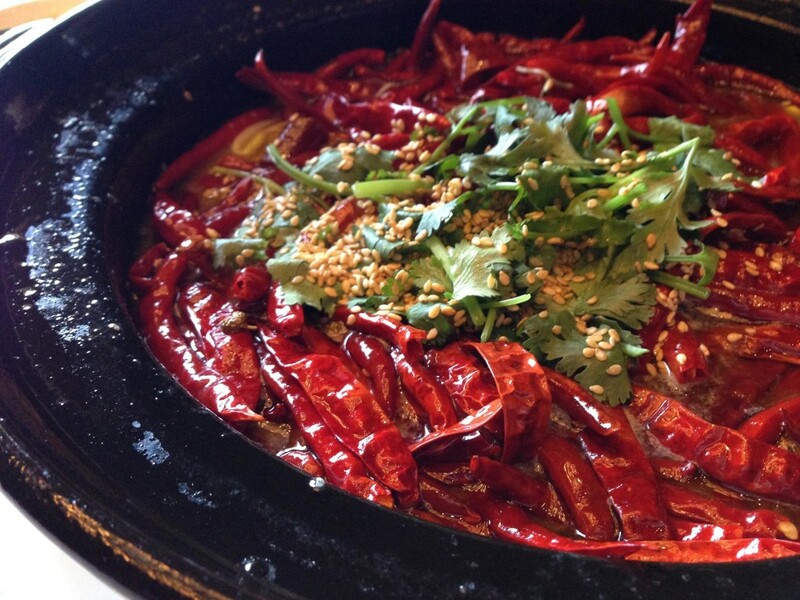 If you are a daredevil, don’t be afraid to ask the waiter for more chilli oil to increase the intensity of the dish. Other highlights include the Stir-Fried Prawn with Chilli Sauce, comprising succulent prawns thrown into a concoction made of beaten up egg yolk stirred into a pungent chilli sauce which is best savoured with Mantous (馒头). And of course, how could we sit at a Szechwan restaurant and not have their Dandan Mian (担担面), springy noodles in meat and sesame sauce that was fresh and forceful. For those who have an aversion to spice, there are other things on the menu to whet your appetite. 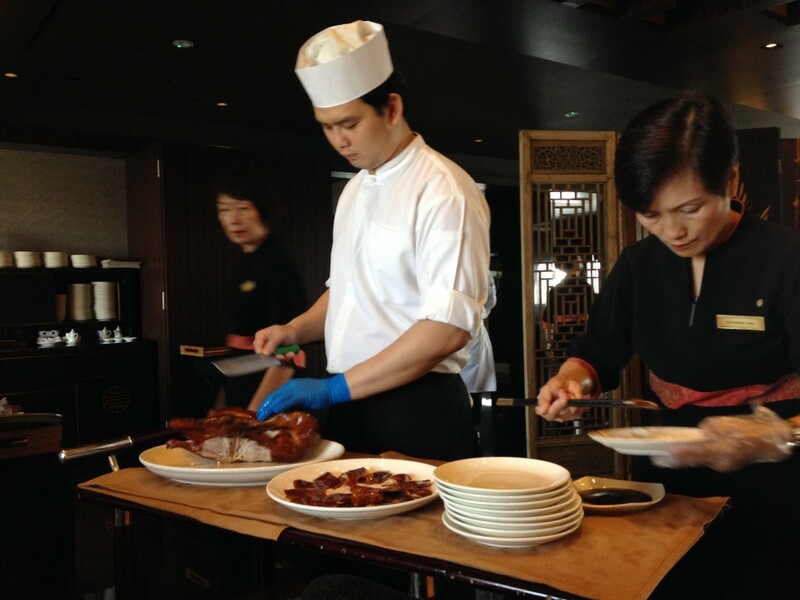 Shisen Hanten’s rendition of the Peking Duck is a must-try. Leave aside your caloric counter for once, and indulge in its oily, flaky skin and flavourful meat. You can choose to eat the duck on its own, or have it wrapped with a dough skin and sticks of cucumber. They serve Dimsum (an assortment of Hargow and Siewmai) too, comfort food that checked all the ticks in our taste box.